The Total Irradiance Monitor (TIM) was launched in January 2003 on the NASA Earth Observing System (EOS) SOlar Radiation and Climate Experiment (SORCE). 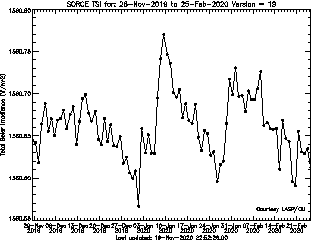 The TIM measures the total solar irradiance (TSI), the spatially and spectrally integrated solar radiation incident at the top of the Earth’s atmosphere. 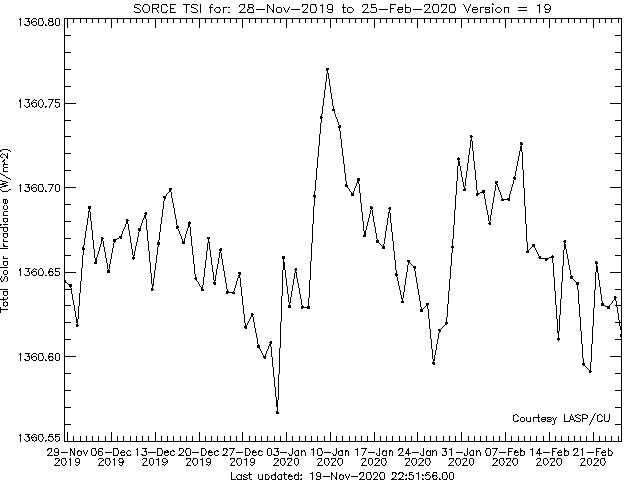 The TIM continues this solar climate data record, which began from space in 1978 and is used to determine the sensitivity of the Earth’s climate to the natural effects of solar forcing. 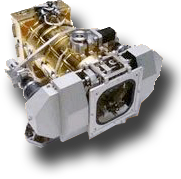 The TIM TSI measurements monitor the incident sunlight to the Earth’s atmosphere using an ambient temperature active cavity radiometer. Using electrical substitution radiometers (ESRs) and taking advantage of new materials and modern electronics, the TIM measures TSI to an estimated absolute accuracy of 350 ppm (0.035%). Relative changes in solar irradiance are measured to less than 10 ppm/yr (0.001%/yr), allowing determination of possible long-term variations in the Sun’s output. See more TIM TSI plots.